Within the grand Premiere studio, the summer program dance students reached their final position in unison, marking the triumphant conclusion to the Nutmeg Ballet Conservatory’s summer program. With the lush green hills as their backdrop, the dancers demonstrated that through hard work and professional guidance, flawlessness can be made to look easy. 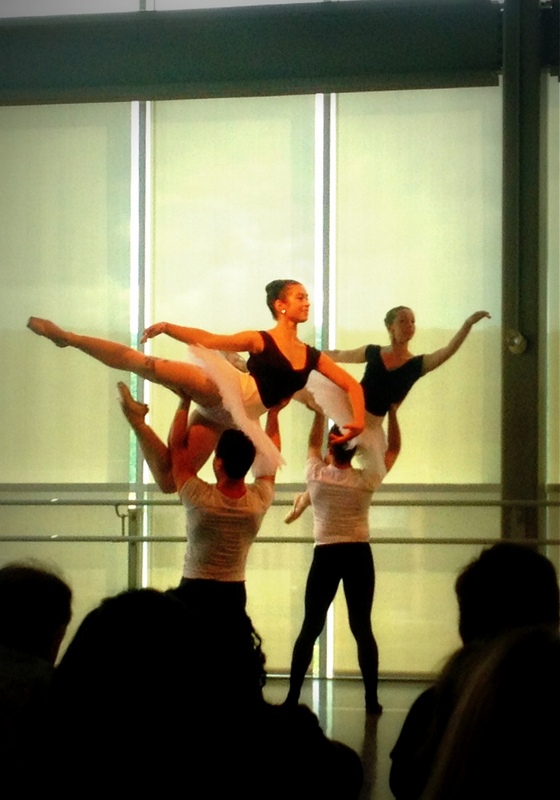 The noontime performance began on schedule as Tim Melady, Principal Ballet Master, introduced the demonstration. There were 8 weeks of intense training and he thanked the students and the parents for being part of the Nutmeg experience. It would have been standing room only even if some had already chosen on their own to stand in the back with many of the faculty like Joan Kunsch and Kate St. Amand. Those in attendance prepared themselves for this rare, artistic delight. The first dance was a warmly received partnering demonstration choreographed by Tim Melady. With classical movements accented with modern undertones, it began with young men and young women whispering to each other and congregating in their own groups before finding partners. There was fine acting within the dance and this piece was a welcome beginning to the show. The details of fine ballet were on display as the female dancers in all three classes (Green, Blue and Red) performed Victoria Mazzarelli’s variations from Sleeping Beauty, Raymonda and Eleanor D’Antuono’s variations from Le Corsaire, Don Quixote and Tchaikovsky Pas de Deux. The men’s program performed Tim Melady’s variations from Le Corsaire. Details are in the way a dancer holds their gaze, the lift of the arm, the direction of a toe or knee and a thousand other points of distinction that transforms the excellent into the extraordinary. The modern demonstration was a piece entitled Green(e). Choreographed by Kate St. Amand, it was created as a moving tribute to a family who had lost a loved one and it stunned the audience with its powerful ending. Joan Kunsch and Victoria Mazzarelli entered the stage and talked to the audience, expressing their gratitude to the parents for the opportunity to work with these wonderful students. 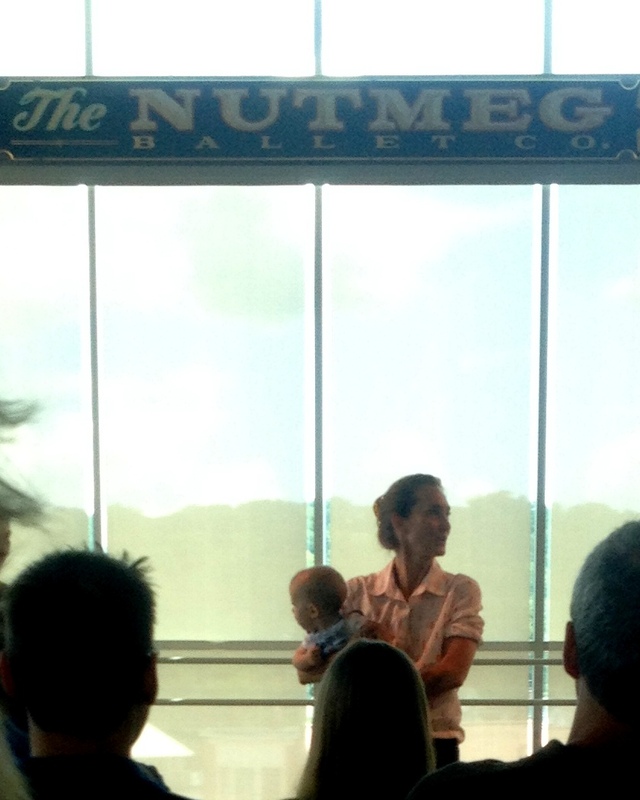 Mazzarelli, the artistic director of the Nutmeg, made a special point to thank the Parent Network, a wonderful and vital part of the Nutmeg community. Then the triumphant conclusion of the festivities began as Joan Kunsch’s choreography brought all of the performers onto the performing area. The dancers flowed in and out in perfect timing with each dancer finding a space to showcase a leap, a turn, a lift within the structure of this life affirming finale. The Nutmeg Ballet Conservatory has a rich 45 year history of providing dance instruction within Torrington, Connecticut. Many dancers who have trained here have won gold medals in competitions, or become artistic directors of renowned dance companies while others have founded their own dance companies. Every opportunity to see a performance is an opportunity to experience artistic visions come to life and a chance to see the dancers of the future make flawless details look easy.